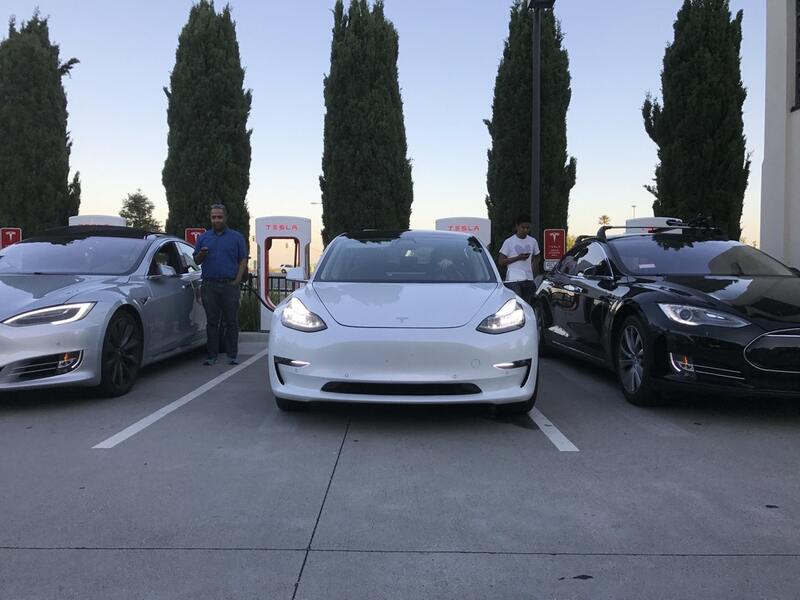 Many a would-be Tesla owner ponders the big question: Should I wait who knows how long for a new Model 3, or get into a pre-owned Model S right now? Of course, there are pros and cons on each side and, in the end, it’s a question every buyer will have to answer for themselves. However, Teslanomics creator Ben Sullins, who owns both a 2013 Model S and a brand-new Model 3, has concluded that, if he were in the market for a car today, he’d choose a used Model S.
By the way, Elon Musk also thinks you should buy a Model S, unless you “really want a smaller sedan.” But of course he would say that, sitting on a backlog of hundreds of thousands of orders for Model 3. Unlike other EV models, Teslas have been holding their resale value quite well - you’ll find plenty of used Model S out there for less than $60,000, but not much less. So the price difference between the Model S and the entry-level Model 3 is still quite significant. However, this is complicated by the fact that Tesla is delivering the more expensive variants first. If you’re hoping to get a $35,000 Model 3, it’s anybody’s guess how long you’ll have to wait. If you don’t want to delay going electric, and you don’t mind paying more, Model S is the obvious choice. As Tesla is keen to remind us, it’s the higher-end vehicle, superior in several ways. With the Model S, you can get free Supercharging (in many cases), which is a huge plus if you often take long trips. When it comes to cargo capacity, the Model S is the clear winner - not only does it have double the actual space, but its wide hatchback makes loading large objects much easier, and it has a bigger frunk. The Model S comes out on top in performance as well — there are some who just have to get to 60 miles per hour a second or two quicker. Personal preferences also come into play. Sullins prefers the interior layout of Model S - it has two screens instead of one, as well as something more like a traditional instrument cluster. Model 3’s minimalist interior is discussed at length in almost every review that’s come out so far - some love it, Sullins apparently doesn’t. So get out a clean sheet of paper, list the pros and cons of each option, consider your budget and your timeline, and decide which Tesla is right for you. Whether you choose the rising star or the old favorite, there’s one thing we’re quite confident of: You’ll never go back to gasoline. Article originally published on evannex.com by Charles Morris. EVANNEX offers aftermarket accessories, parts, and gear for Tesla owners. The Florida-based company also maintains a daily blog on the latest Tesla news. Source: InsideEVs.